Questionnaire examples making is not only an activity that is executed within an academic environment. This document is also helpful in business operations as it allows companies and business establishments to know information that is necessary for the development of their operations. 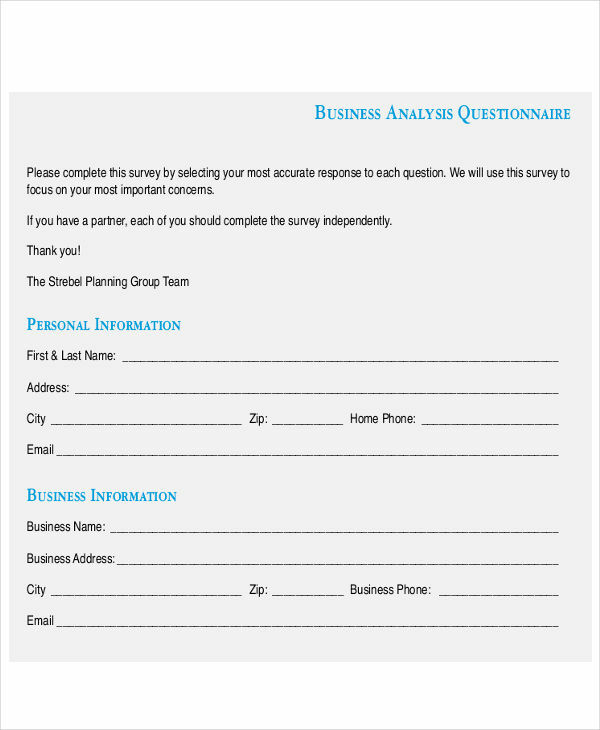 Business questionnaires can be used by businesses for their own market research, product and/or services assessment, and other purposes that can provide them with improvements in various areas. 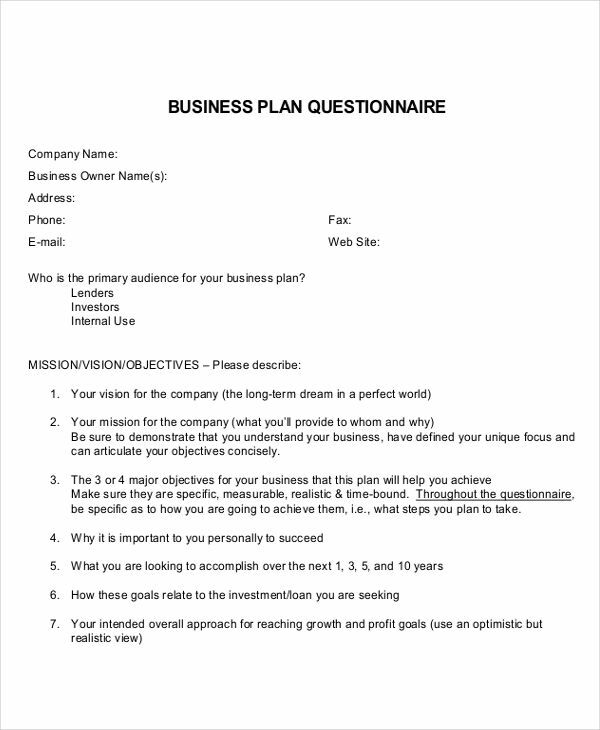 This post is a collection of business questionnaire examples and templates which you may use as references. 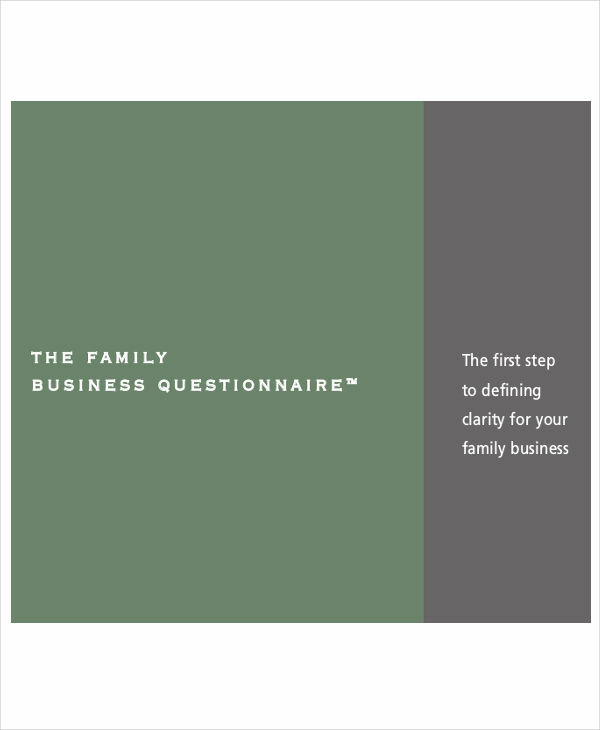 What Is a Business Questionnaire? 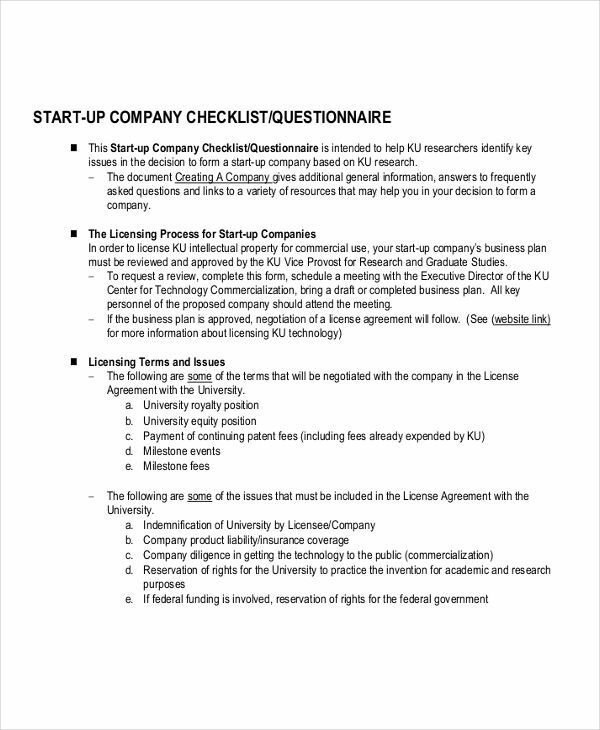 A startup business questionnaire is created to know the needs and wants of the target market of the business that will be created and established. This will help the management of the business supply services and/or products that will be supported by the market. 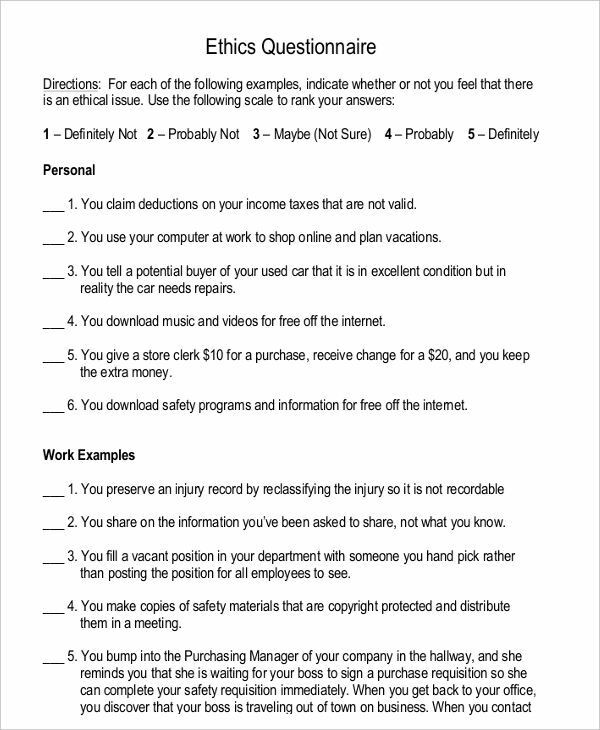 An ethics questionnaire is made to identify if a company follows ethical standards within its operations. It does not only include issues with employees but the activities where clients or customers are involved as well. A business analysis questionnaire is necessary to fully assess the standards and procedures followed by the business. This kind of questionnaire can gather information that will be beneficial in identifying the strengths and weaknesses of the business. Know the specific business questionnaire that you need to make. 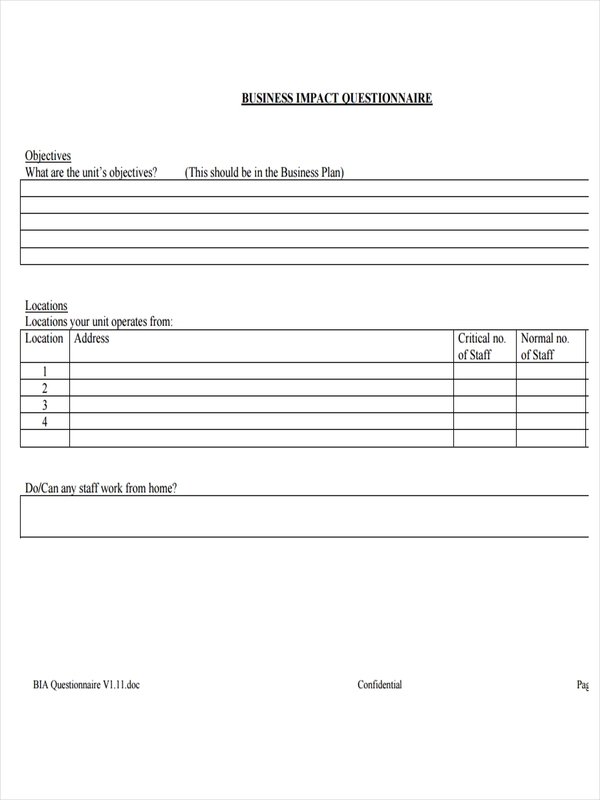 Download and use a template if you need references in formatting the business questionnaire that you would like to have. Place the business logo, name and other corporate information on top of the document. List down the questions that are necessary for the needs of the business. Identify the people who will answer the business questionnaire and assess why the relevance of their qualifications and/or experiences to the results that are needed to supply the needs of the importance of the questionnaire creation. Be specific with the reason why the business questionnaire is needed. You need to know the items that you should be knowledgeable about and how they are necessary to the operations of the company. This will help you accurately ask questions that can be helpful to the study that you are making. Look at other questionnaire templates & examples used in the same processes or business undertakings so you can have guides in formatting and creating the content of the business plan questionnaire that you will make. Always use a professional or corporate language when creating the business questionnaire. The terms that you will use should be well understood by the people whom you will ask to answer the business questionnaire. A comprehensive business questionnaire will help you target all the items that you need to know, which in turn will make your business research or operational assessment successful.